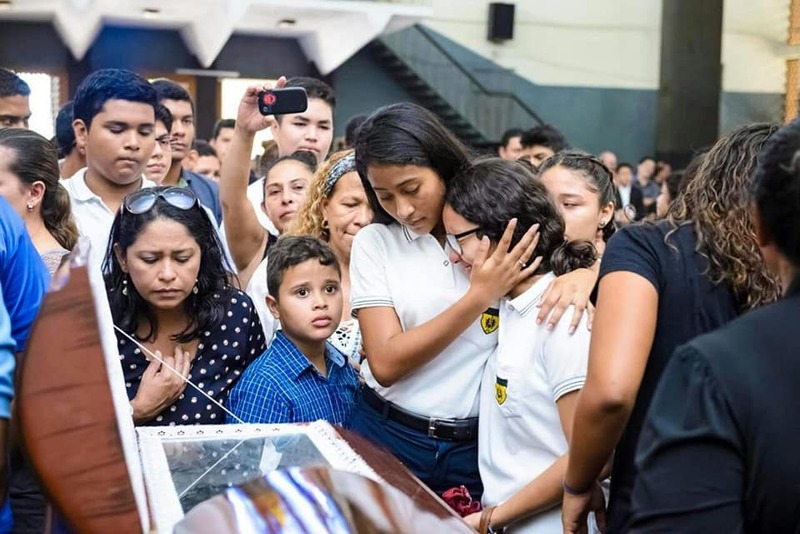 Álvaro Manuel Conrado Davila, a 15-year-old student at Instituto Loyola, the Jesuit High School in Managua, Nicaragua, was killed while peacefully protesting on April 20, 2018. Conrado was one of more than twenty protesters killed over a four day period of unrest related to the recent announcement by President Daniel Ortega of changes to the country’s social security program. 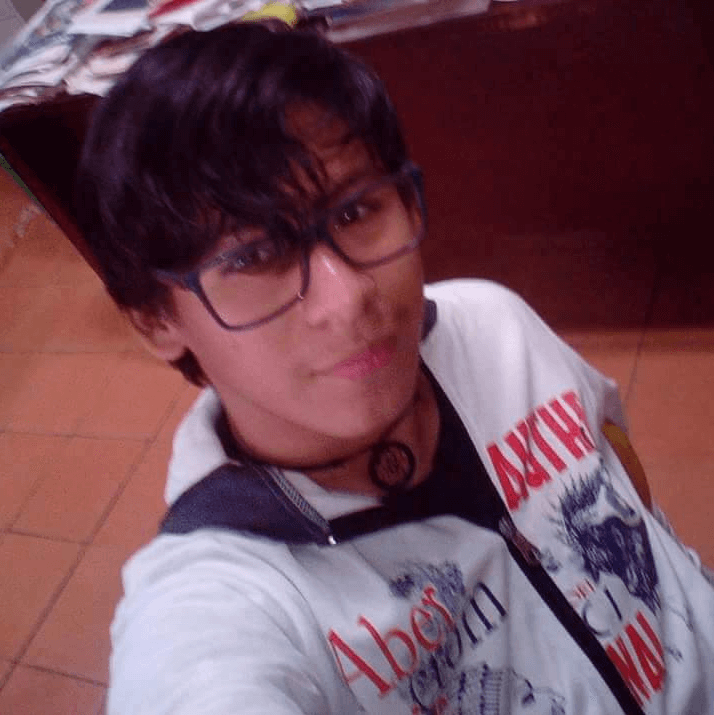 Nicaraguan news outlets have reported that Conrado was shot by police with a rubber bullet that struck him at close range in the throat and died later while undergoing surgery at a local hospital. 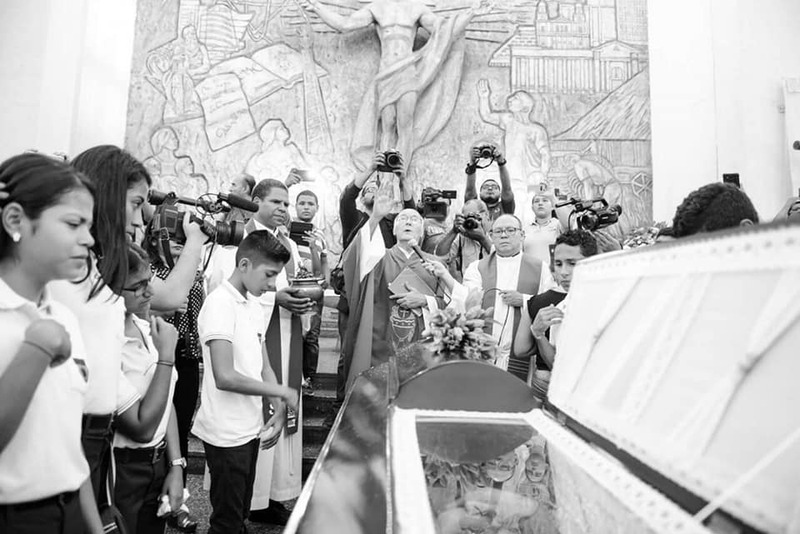 The Instituto Loyola community gathered for Conrado’s funeral which was attended by an estimated 400-500 according to social media sources connected to the Instituto. Others killed during the violence include a journalist who was reporting on damage to a bank in Bluefields, a town on Nicaragua’s Caribbean coast. According to BBC News, Ángel Gahona was killed while broadcasting live via Facebook Live which captured him falling to the ground and bleeding. Last week the Ortega administration announced an overhaul to social security that would have required Nicaraguan citizens to pay more into social security while retirees would begin receiving 5 percent less. Nonviolent protests began soon after — some that led to violent interactions with police, as well as looting and property destruction according to reports by The New York Times. In an attempt to quell the protests, on Sunday, Ortega announced that the planned changes would not take effect. Over the past few days, Jesuit networks throughout Central and South America have spoken out against police violence and government repression in Nicaragua. 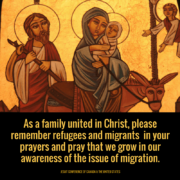 Statements have been issued by Fr. Roberto Jaramillo, S.J., president of the Jesuit Conference of Latin America, the Association of Jesuit Latin American Universities (AUSJAL), and the Provincial of the Jesuits’ Central American Province who issued a joint statement with the presidents of the Instituto Loyola and the Universidad Centroamericana de Nicaragua. Editor’s Note: This story has been edited to correct Álvaro Manuel Conrado Davila’s date death as April 20, 2018. It was originally published as April 22, 2018. Jesuit's America Magazine Joins Diverse Catholic Journalistic Voices In Calling for End to Death Penalty in U.S. The dead toll is now officially at 63, with 15 still missing and many injured. May peace be a reality and not just a slogan. Long live the memory of Álvaro Manuel Conrado Davila. RIP.